) Prepare Bacon: Dredge strips of bacon in maple syrup and then brown sugar. Place on a baking sheet lined with parchment paper. Bake at 350°F for 25 minutes. Flip halfway through. Let cool and chop up into pieces (Try not to eat it all before you finish!).
) Prepare Cinnamon Rolls according to the fast bake directions on the package. Space out on a baking sheet and bake at 400°F for 10 minutes. Let cool slightly and break apart into fine crumbles. Spread back on baking sheet to let cool thoroughly.
) Prepare the filling. Combine the egg yolks and sugar in a bowl. Place bowl over a double boiler. Whisk yolks and cook over the simmering water for ten minutes, stirring frequently.
) Remove bowl from double boiler and whisk yolks vigorously until they become pale yellow and double in volume.
) 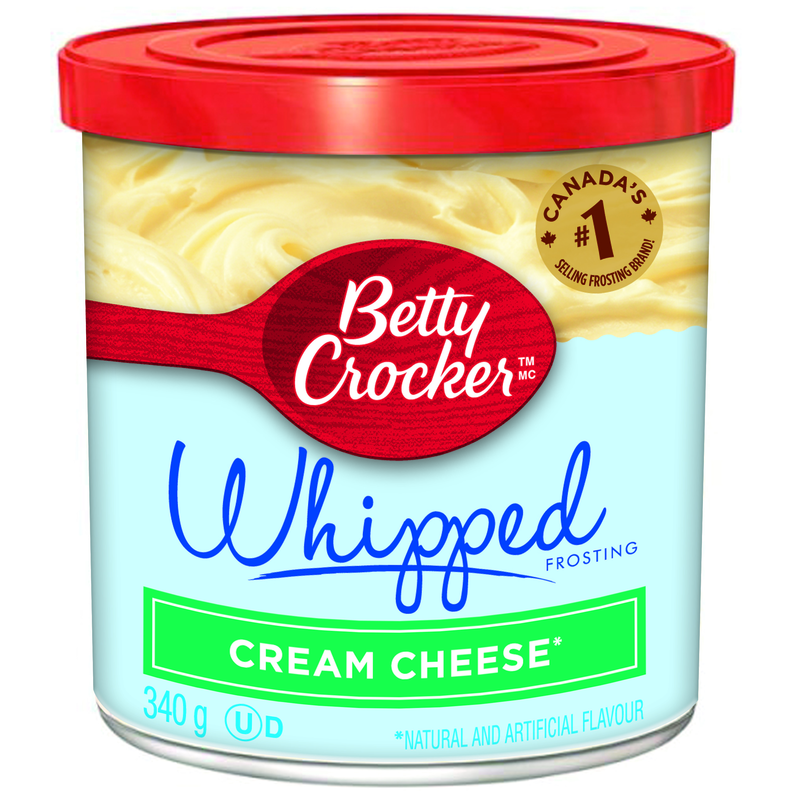 Fold in the Betty Crocker Cream Cheese Frosting. Add half a can to start, and add more to taste on sweetness preference, but if you're like me and already sweet enough half a can works perfect.
) Whip cream in a mixer until still peaks form. Fold in very gently into egg yolk mixture as to not ruin your peeks.
) Assembly. Take your parfait glasses and layer in the bottom some of the Cinnamon Roll pieces. Spoon 1 tablespoon of the black coffee over the pieces. Drizzle some of the maple icing on top. Spoon a generous tablespoon of the filling next. Repeat the steps until the parfait glass it full to the top. Sprinkle with the candied bacon for garnish.
) Let sit in the fridge until ready to eat. The longer they sit the better, but if you are like me and can't wait, you may dig in right away! I am a 28 year old aspiring baker, and winning #bakeitpossible could be another notch on my whisk that I would be proud to brag about to all those that could hear me! I am constantly on the lookout for new challenges and something out of the norm when it comes to my baking. The prize from #bakeitpossible would mean so many things for me, mostly a chance to pursue my passion for baking and creating. I have never been classically trained in baking or pastry, and there are a lot of struggles with that in the professional world. Proving myself as a capable baker because of that has always taken a lot of perseverance and hard work, but it's easy to put the work in when it's something you love. Pillsbury and Betty Crocker are truly the original brand for the home baker, and those are my roots. They were the beginnings that taught me what I know today. So it was a lot of fun to revisit some of my favourites to honour my humble beginnings! In my recipe I really wanted to showcase Pillsbury and Betty Crocker products for what they are instead of trying to hide them somewhere in the middle. I took the opportunity to swap the traditional mascarpone that tiramisu calls for with the Betty Crocker Cream Cheese Frosting for a perfect, creamy, sweet filling. Paired with the Pillsbury Cinnamon Rolls and the coffee, it truly does tastes like a coffee break in a tall beautiful glass. Be prepared for your house to be the central meeting place for coffee time!